My name is Tricia, and this is my opioid story. I’m a retired hairdresser and have been a stay at home mom since 1996. I had a pretty typical upbringing in Delaware County and went on to marry and have three children; Colleen, Pamela, and Jason. My second child Pamela was a shy blonde blue-eyed girl who I remember was always at my hip. We spent a lot of time together, and I went to all of her school events; we were very close. She had a great laugh and she never left or hung up the phone without telling me she loved me. She cared a lot about others and was a hard worker. She started working when she was 14. She saved all her money and bought a car when she was 16. She paid for her own phone, gas, insurance, everything and then when she was 18, she became the manager of our local Pizza Hut. She wanted to be a social worker and she wanted to help people. She was just a very compassionate and sweet person. When Pamela was a senior in high school, she began dating a boy at her school. I began to notice she was losing a lot of weight quickly. She became more and more combative with me and started staying out late. I was on her bank account and noticed that she had withdrawn large amounts of money. I was taking note of these red flags, but I didn’t know what was happening. I began to suspect that she was using some kind of stimulant to help her at work. I never considered that she might have been abusing prescription opioids. When I confronted her about this, she became violent with me. It was a shock because it was not at all like her to be that way. I knew something was wrong, and contacted her boyfriend to tell me what was going on. He informed me that the large amounts of money being drawn out of her bank account were for Percocet. I called my insurance company to see if there was an open bed available for her to receive treatment. After getting her in the car, I called and was informed that the open bed had been filled. A couple weeks later, Pamela told me she had called the insurance company and that there was an open bed available. I thought once she got out of treatment, she would be better, we could move on, and she’d be okay; this was not the case though. 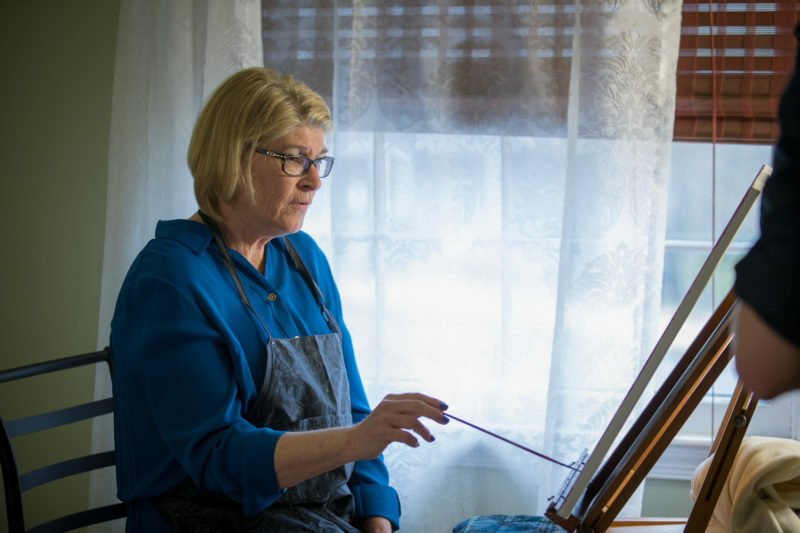 She stayed in inpatient treatment for 30 days and began doing outpatient therapy. It was at this point where I was beginning to realize what it was we were dealing with; that Pamela had become addicted to opioids. I began going to classes for family members of those with substance use disorder to learn more about what Pamela was going through. I began learning that addiction is not a personal failure but a disease that heavily impacts the afflicted person. We’d often visit or talk over the phone about what we learning in our classes. The greatest gift out of these classes and 12-step meetings was that I was able to say to Pamela, “I am not ashamed of you and I am not embarrassed. I just want you to get better.” The way I saw it, Pamela made a mistake like a lot of other teenagers. It’s just that this mistake grabbed and made her dependent to the point that she couldn’t stop. Pamela became discouraged at a certain point and was losing hope that she’d recover from what was happening. She left me a note that she intended to commit suicide by overdosing. Her friends got her into the hospital and she was later admitted into a mental health facility. When she got out, I told her the same thing I said before; that I wasn’t embarrassed or ashamed and we’d do whatever we had to get her better. The issue was that money was becoming more and more of an issue and it was getting harder to support Pamela and her treatment financially. It was hard for Pamela to get by as she had lost her car, her job, and just about everything else. Despite this, Pamela was still trying to moving forward. Pamela found another job and re-enrolled at the local community college. She was still relapsing though, and we made the decision for her stay at her uncle’s house after she had used my debit card to get money for opioids. Her uncle lived in a very rural area though, so she went and stayed with her grandparents instead. While staying with her grandparents, she went out and used, came back home for a snack, and was later found unresponsive in her bed by her grandmother. Part of me is thankful that I wasn’t the one who discovered her in that condition. I read her journal to figure out how and why all this happened. I learned that she had been cut out of her circle of friends and began hanging out with other kids that didn’t fit in. She began dating a boy who introduced her to marijuana, then Percocet, and eventually to snorting OxyContin. She made the move to heroin after losing her job and was stealing to supply her addiction at that point. When she realized how bad the situation was, she still kept it hidden. She was ashamed and thought anyone who could help her would hate her and hold it against her. 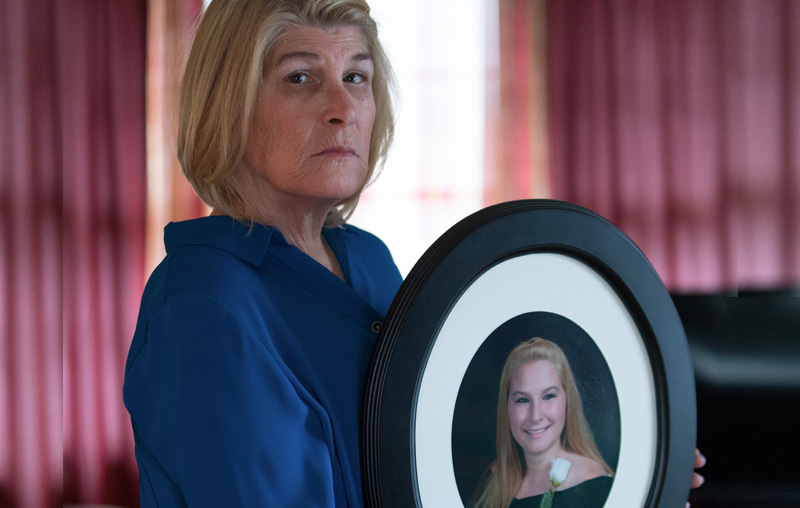 I spent the year after her funeral researching opioid substance abuse disorder. I discovered that getting to kids before they start is the best way to prevent the situation Pamela went through. I found an advocacy organization that specialized in this called NOPE and contacted them. I became more and more involved in the organization and still do advocacy work with them today. 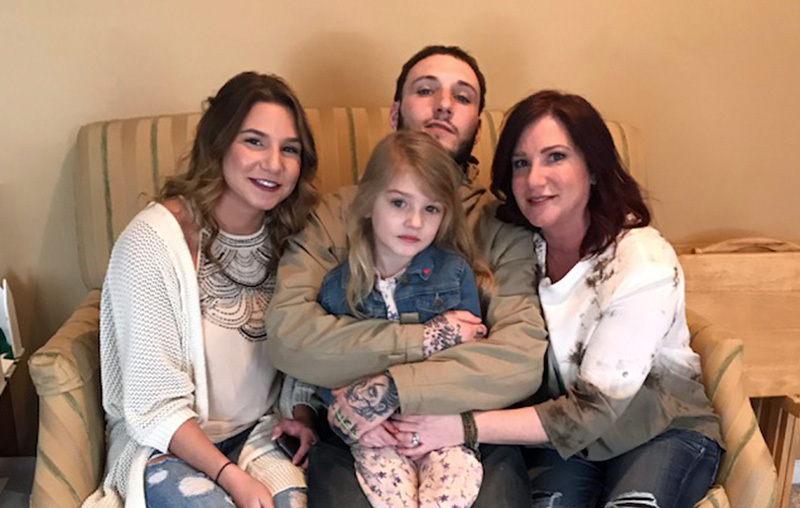 It’s nice to connect with other parents who’ve lost children to drugs; it can be an isolating journey to go through the grief of an overdose because it’s not considered an acceptable death. Even with all the advocacy work I do though, I’m still dealing with her death. There was still so much more for us to do together. The best advice I can give other parents is to become educated on how addiction manifests. Kids don’t go to a party to shoot heroin, but they will go to a party, they will drink, they will smoke pot, and someone will hand them a pill. They won’t think about the consequences because their mind is clouded and will assume they’re safe because it came from a doctor. For those who are addicted, we need to be cognizant of how we speak about them. The CDC named this as a disease and it should be spoken of as such. Instead of a clean or dirty blood test, it should be positive or negative. Instead of saying someone’s clean, someone is in recovery. The discourse around the people with substance use disorder impacts them heavily. We need more resources for those who are trying to combat their disease; several who are desperate to help themselves often can’t get access to the simplest of things like a bed. Finally, I think it’s important to understand the tribulations families like mine go through. We’re suffering financially, physically, mentally, and emotionally. It’s the whole family that’s affected, not just the person using. This is why I’m sharing my opioid story, we need help and we need understanding. If you know a family who is suffering with a loved one, take their kids out to a movie or sporting event. Bring a meal, check on them, or see how they are doing. Show these families care and love because that’s what we need.